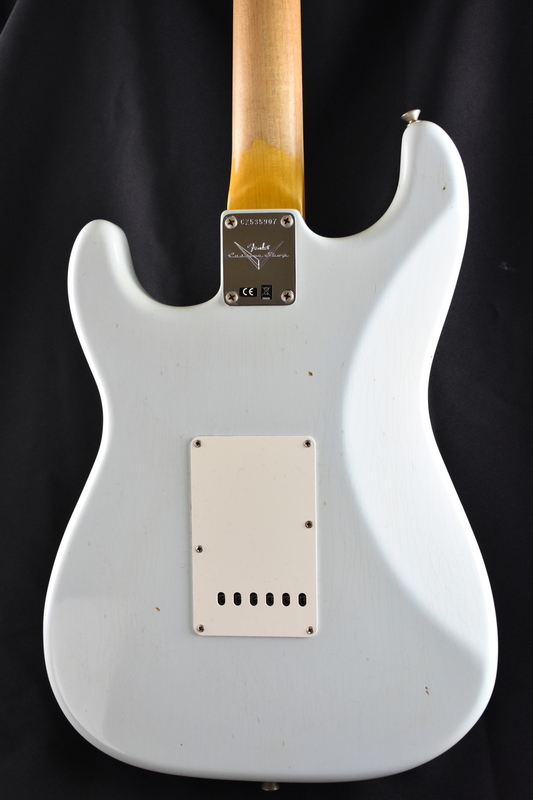 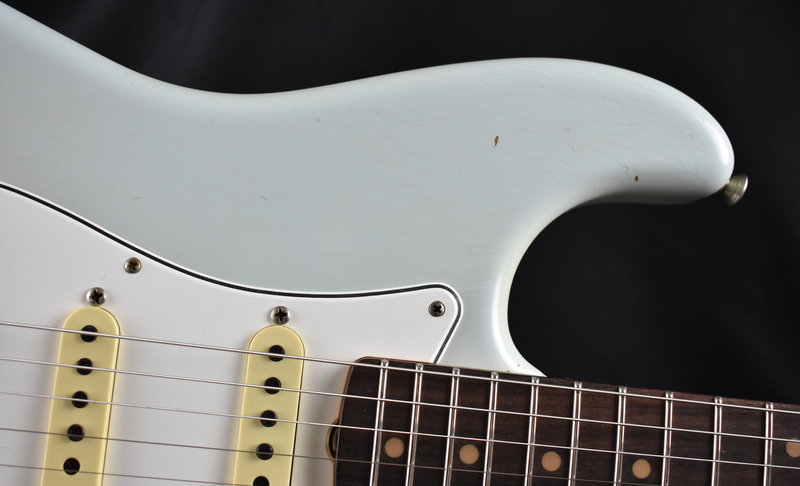 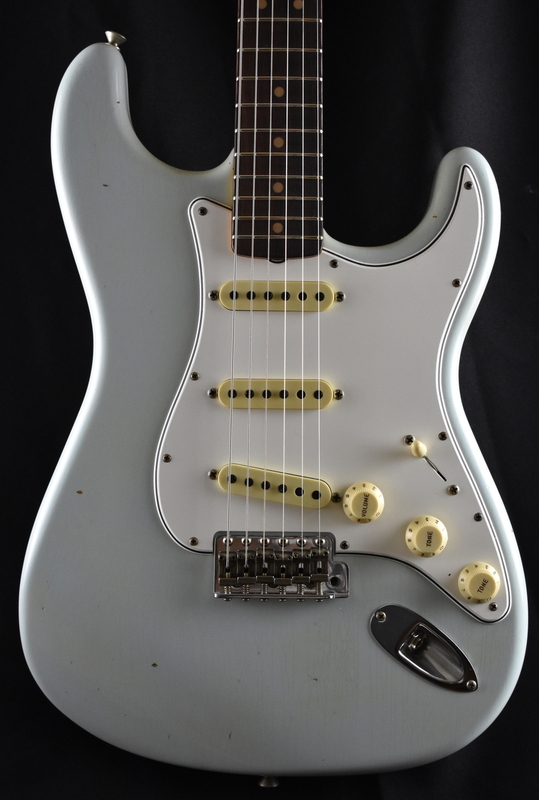 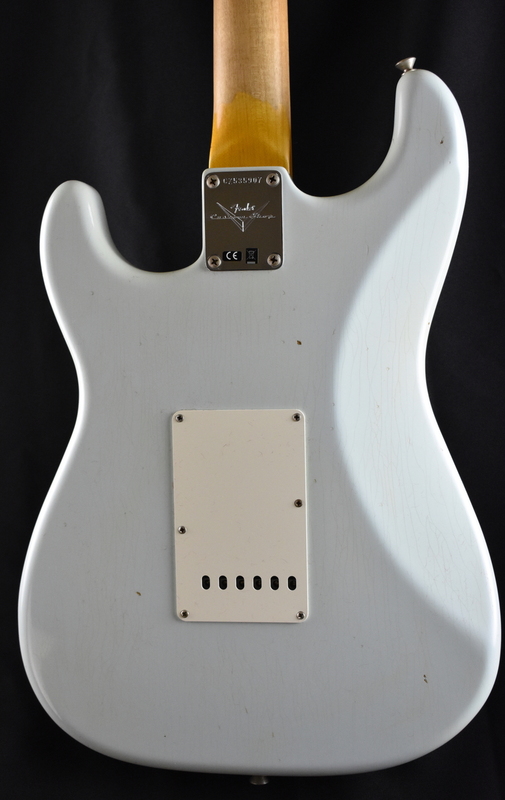 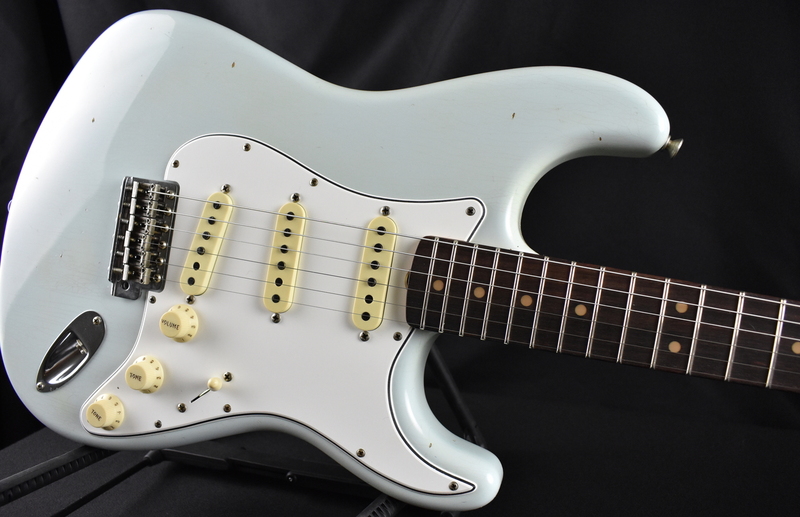 Custom Shop Built with Maple Neck and Rosewood Fretboard in a Classic Sonic Blue. 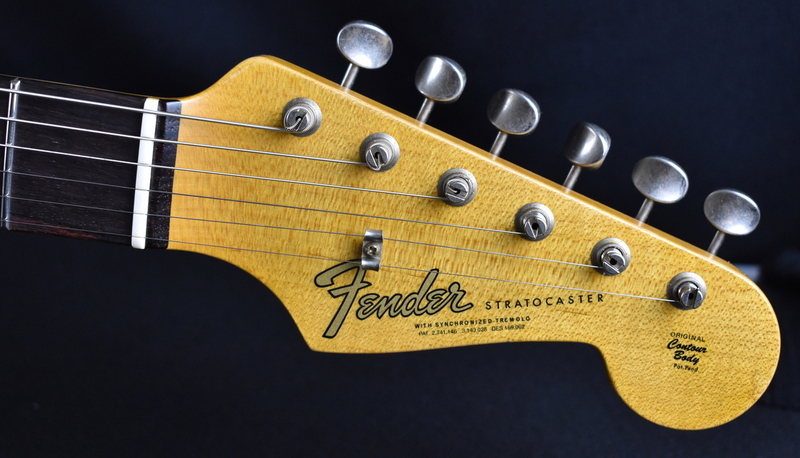 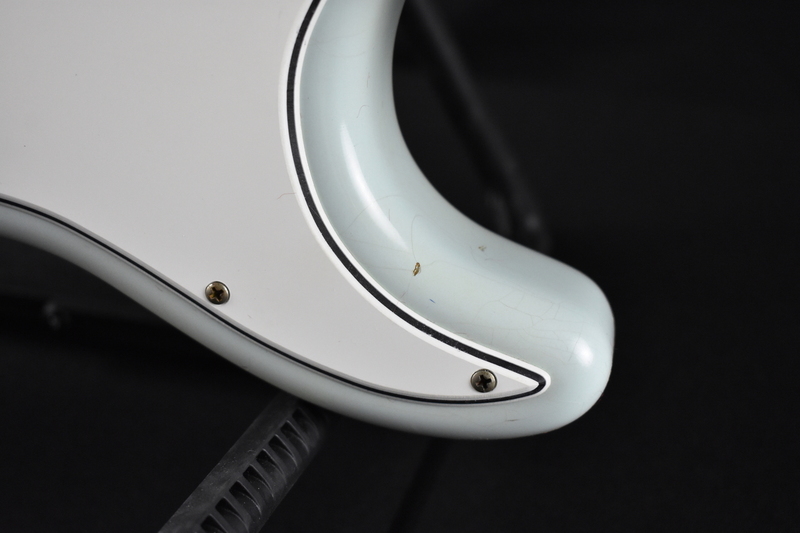 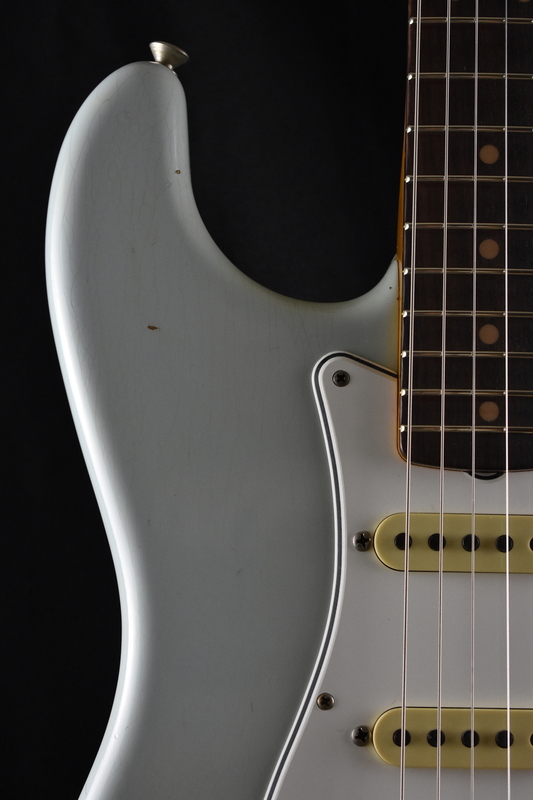 Distinguishing itself from its 50’s predecessors, the 1964 Strat® introduced a slew of updates to players. 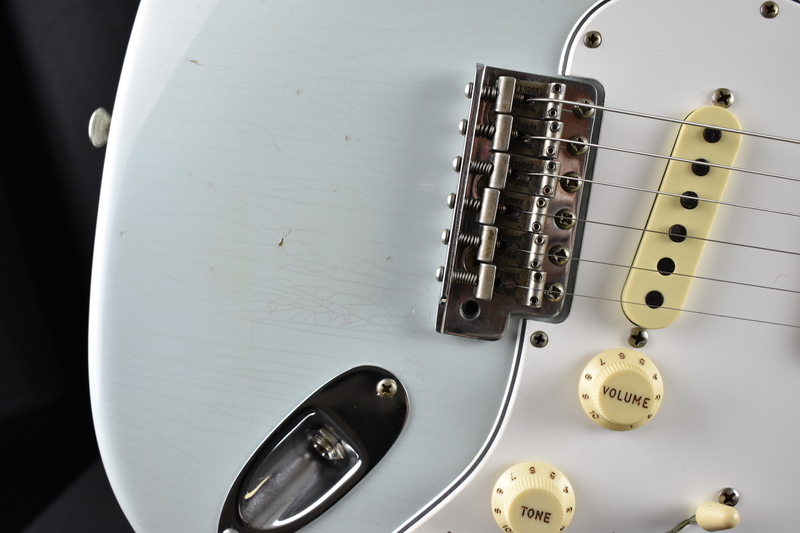 Strutting a round-lam rosewood fingerboard, 3-ply parchment pickguard and a more dramatic sunburst on a two-piece alder body, the debut of modern Strat features garnishes this ’64 Relic in eye-catching fashion. 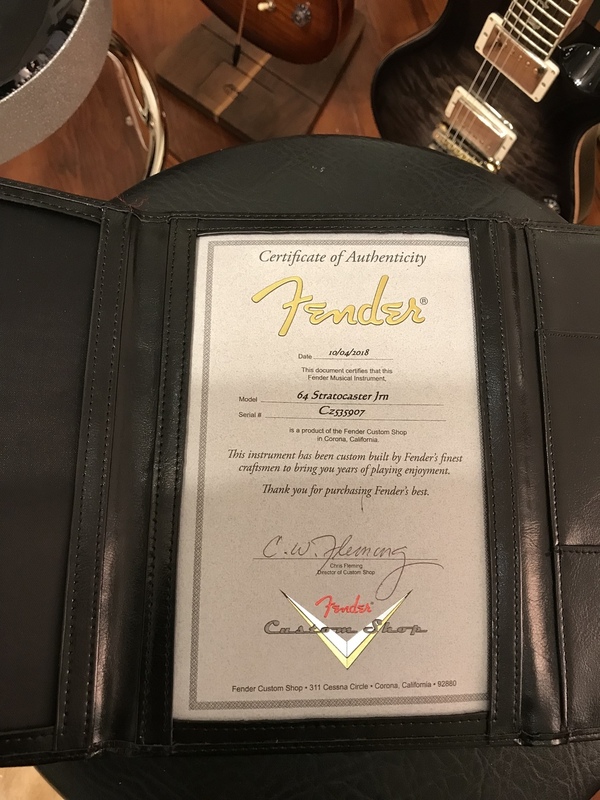 To faithfully commemorate this benchmark guitar, Fender Custom Shop serves up a shot of vintage swagger with a Journeyman Relic lacquer finish, complete with a compendium of vintage-correct appointments, crafted in steadfast detail. 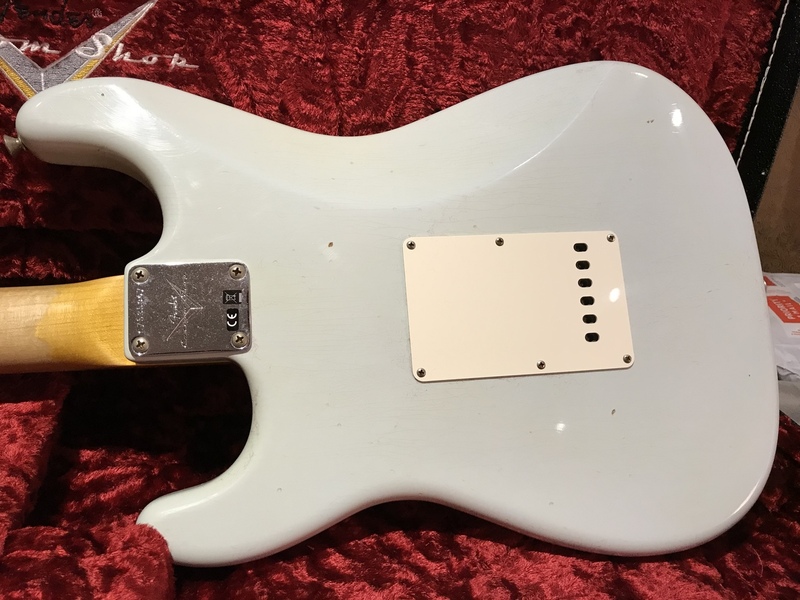 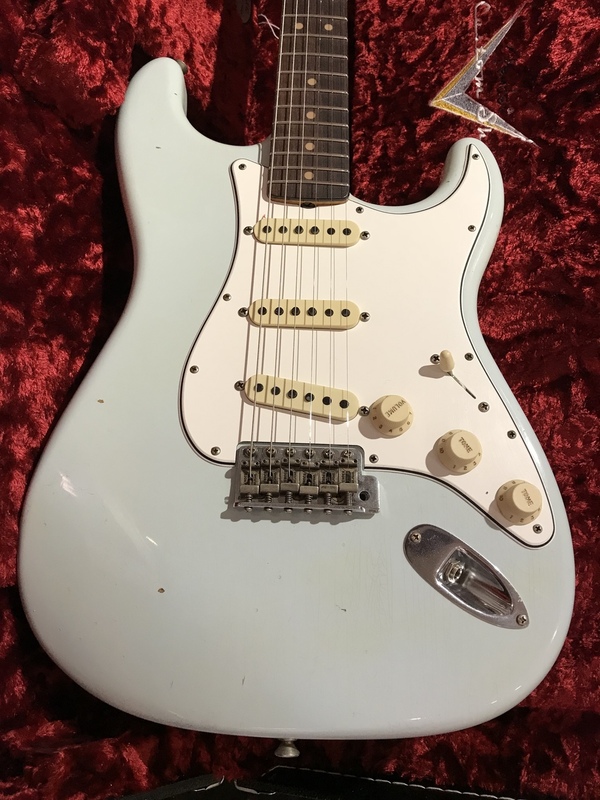 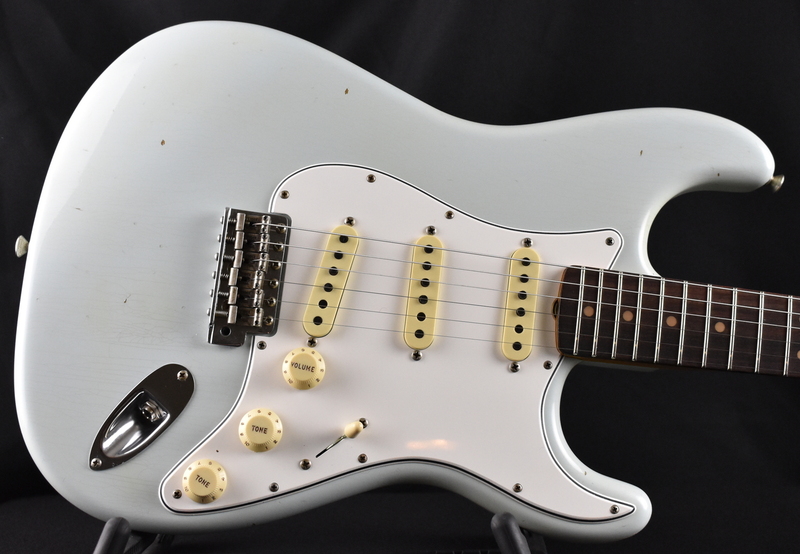 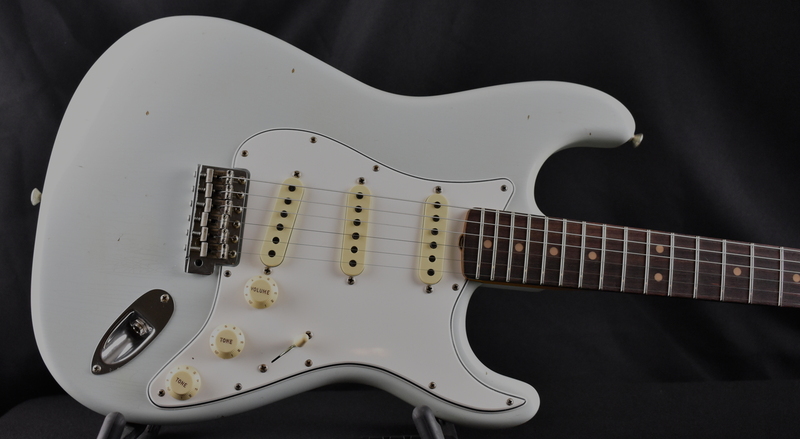 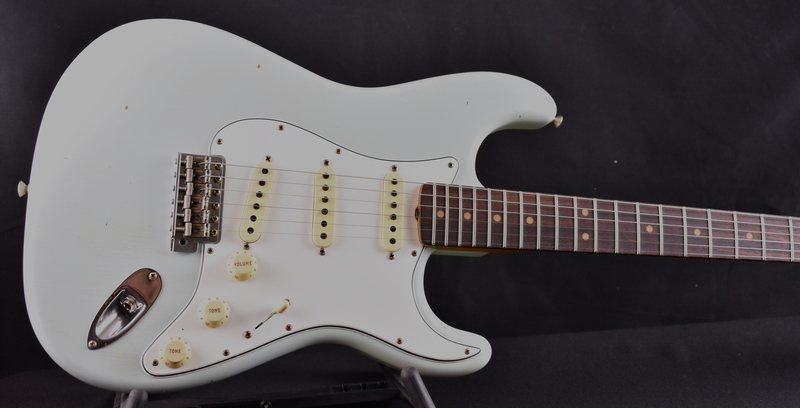 Among these period-specific features are a tinted quartersawn maple neck with a “ ’63 C”-shaped neck profile for exceptional playability, hand-wound ’64 Strat pickups for classic tone, vintage-style tuning machines and American Vintage synchronized bridge.